A few years ago, I traveled to Toronto for the first time with a tour. The tour was very compact and I didn't get to see many much of the city, but we did go to the main tourist areas. After leaving Niagara Falls, we headed straight for the heart of Toronto and ended up at the CN tower. Whenever I go somewhere new, I always try to get to an observatory deck to view the entire city and this was the place! 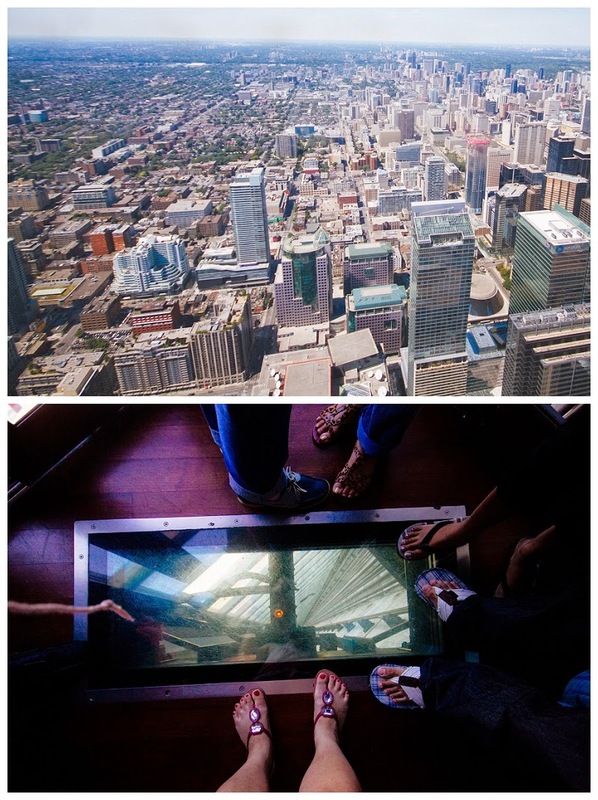 The CN tower also has glass floors that allows you to look straight down to the streets and I wanted to experience that for myself. The wait to go upstairs did take some time so make sure you make time for it! Tri one on : My first triathlon! One of my other hobbies!